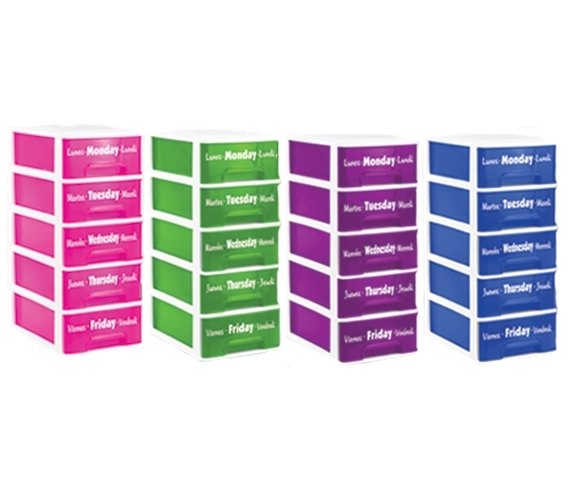 Dimensions: 10.04" x 7.09" x 17.32"
Your college may not have a lot of dorm room storage for your clothes and pantry items, but it will also lack dorm room storage for your notebooks and other study accessories. Unfortunately, your dorm room desk may not be much more than a table and the drawers that you do have (if you even have drawers!) will be quickly filled with other dorm essentials. Stacking your notebooks on your dorm desk can be confusing when you go to reach for them and they will not be very well organized. Plus, when you stack your notebooks you'll find that they tend to fall over a lot and the stack you originally thought was neat and organized is a lot of work. The solution? 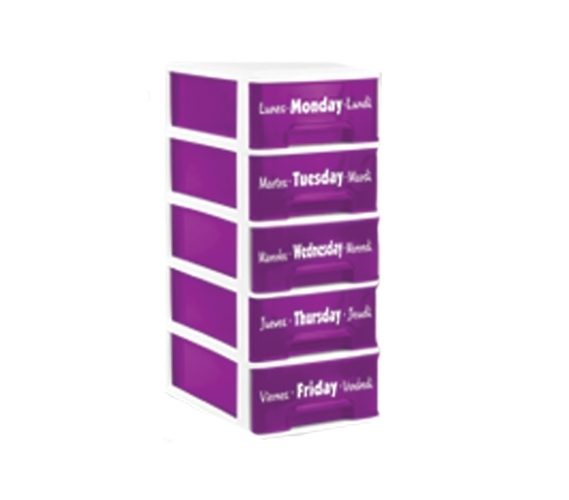 Our 5 Drawer Weekly Organizer for the dorm desktop! Our 5 Drawer Weekly Organizer comes in a variety of colors so you can choose the color that best matches your dorm room decor for an extra pop of bright color in your dorm room decorations. 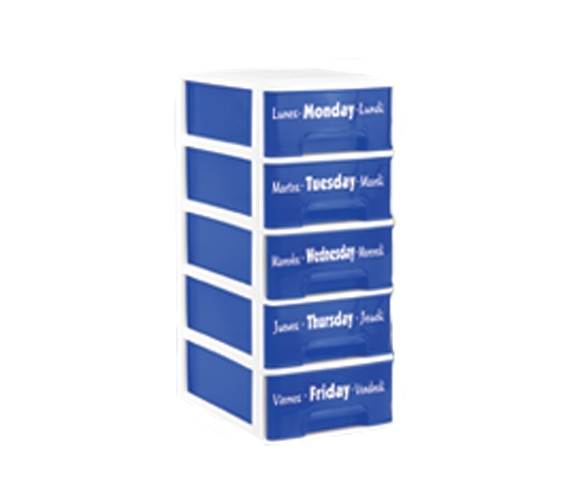 The drawers of this dorm organizer are labelled with the days of the week so you don't have to guess if you are taking the right notebook or homework to class - you can simply go to the appropriately marked drawer! This dorm necessities item is perfect for keeping your class notebooks arranged by which day you have the class and it is also good for keeping the homework that is due in the bin for the day it is due. 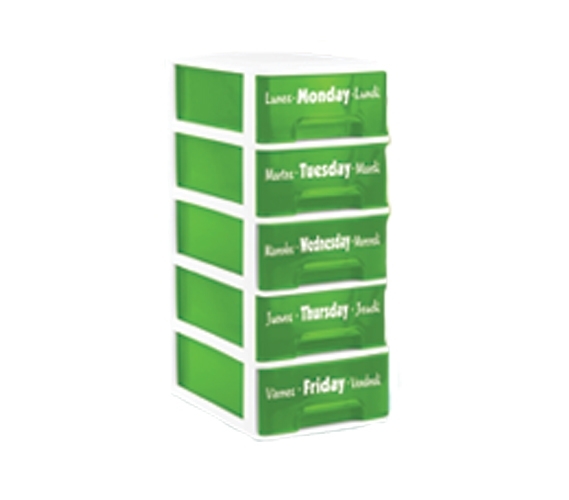 This dorm storage solution will not only keep you more organized, it also saves you time from hunting for the correct notebook!